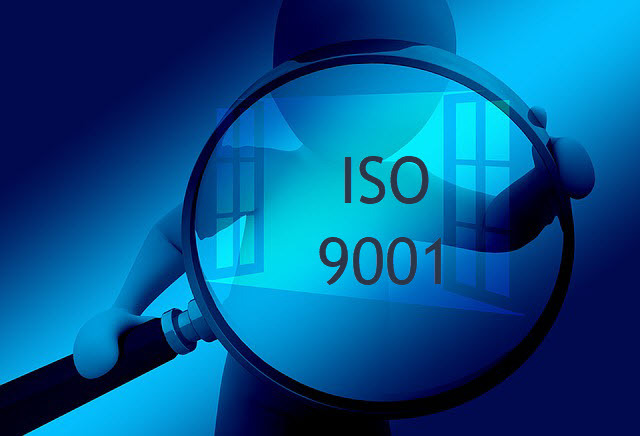 This page provides an ISO 9001 overview. I discuss the history of ISO 9001 and how it became a prevalent world wide quality management standard. Dr Walter Shewhart invented the statistical control chart in the 1930s. During World War II the United States utilized the control chart and basic quality control methods to produce military supplies in large quantities cheaply, but with good quality. England also used statistical control to produce military items. The US also created Z-1 sampling plan standards which were commonly used by manufacturers. England adopted these standards as British Standards 1008. In Japan during WWII, quality control was based totally on 100% inspection which is about 80% reliable. Their military production did not meet US quality. Some say that one of the reasons the Allies won the war was because of the superior military product quality and the advancement of statistical tools. After the war, Japan’s manufacturing was broken down. Japan’s manufacturing equipment was poor. During Japan’s recovery, US occupation forced Japan manufacturers to use modern quality control and the best practice lists. The US sent experts to Japan to teach them statistical quality control. After the war Japan took quality assurance to another level. Japan formed the Japanese Industrial Standards Committee (JIS) in 1946. This committee created JIS standards and allowed certified JIS manufactures to bear the JIS mark. The JIS mark was the first certification quality management standard. Japanese companies participation was voluntary. To receive the JIS mark, the company passed a certification inspection. In 1950, the Union of Japanese scientists and engineers (JUSE) received training from Dr. Demming. He taught the PDCA cycle, statistics, and the use of quality control charts relating to manufacturing, process control, and administration activities; all tools to improve quality. From Dr. Demming, Dr Juran and other QC experts, Japan stopped relying on inspection to ship quality product. Instead they manufacture quality into the product so defective products are not made. Quality assurance management systems focuses on preventing defects. In order to design and produce defect free products, quality assurance has to be implemented at the beginning of development and throughout all divisions of the organization. This includes manufacturing, purchasing, marketing, sales, safety, human resources, IT and so forth. In the 1950 and 1960s the US was on top of the manufacturing world. Competition was only between US companies. Because of the lack of competition, US manufacturing moved away from statistical quality control and certification management standards were not necessary. During the 1970s, The US military developed Mil-I-45208 inspection standard and Mil-Q-9858A quality program standard and insisted their suppliers meet the standards. The military had inspectors that would visit or work at manufacturing plants to assure the systems were in place. In the 1980s the world moved towards global trade. Nations and industries needed to agree on quality assurance standards. The quality standards would improve purchasing trust between companies across the world. Because of the global trade, the US went back to quality management systems and statistical control. In the 1980s, total quality management theories improved America's companies significantly. In 1987 the International Organization for Standardization (ISO) with members from 91 nations adopted the ISO 9000 series of standards. In 1994 the series was updated to an ANSI/ISO/ASQ standard and US companies could become certified to the standard. Now, ISO 9001 is recognized throughout the world. Many companies will not buy from you unless you are ISO 9001 certified. The ISO 9000 standards are based on the idea that a well designed quality assurance program provides confidence in the organization's products and the management team. After reviewing this ISO 9001 overview, check here to see the key elements of ISO 9001.
Review the History of TQM.